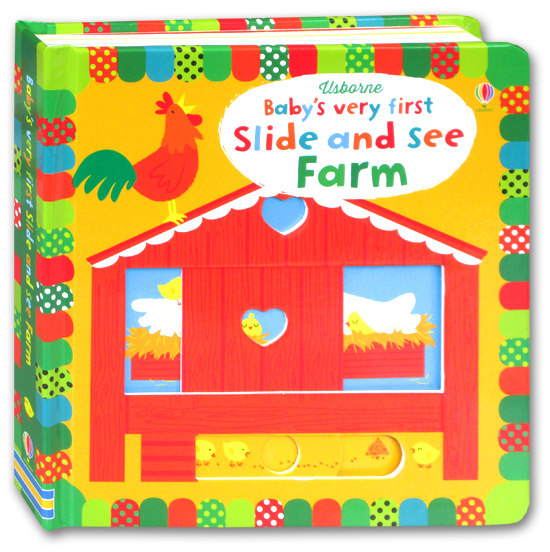 Babies will love looking at the bright pictures in this delightful book and seeing what appears when they move the sliders. 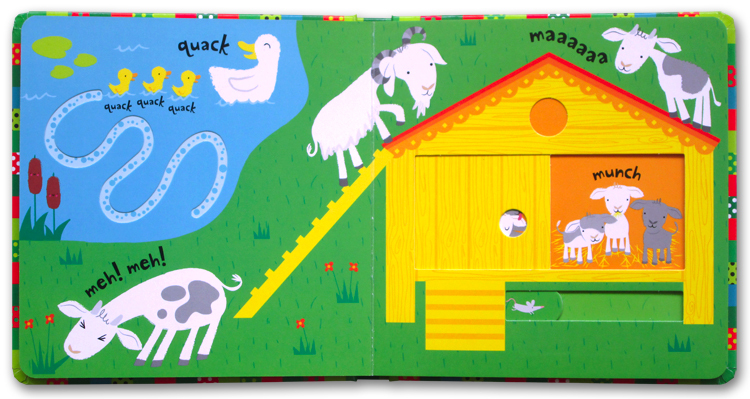 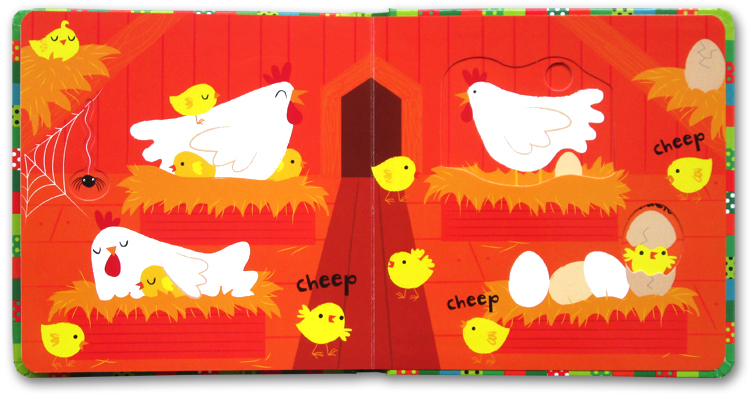 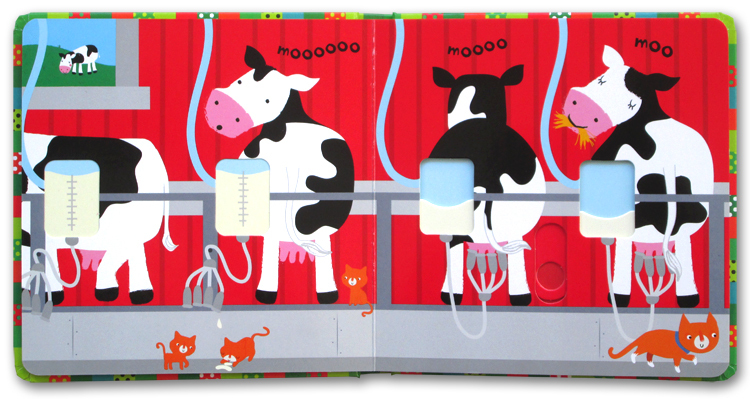 The simple and robust sliding panels transform the pictures to reveal a chick hatching, baby goats peeping out of a barn and more, and there are fingertrails to follow and animal noises to imitate too. Brilliant for developing essential motor skills and hand-eye coordination, and full of vivid colours, stylish illustrations and friendly animals.